Tuesday morning I had every intention of going to the YMCA to workout but instead I stayed home. I was able to get so much stuff done around the house and finally organize my bathroom counter. 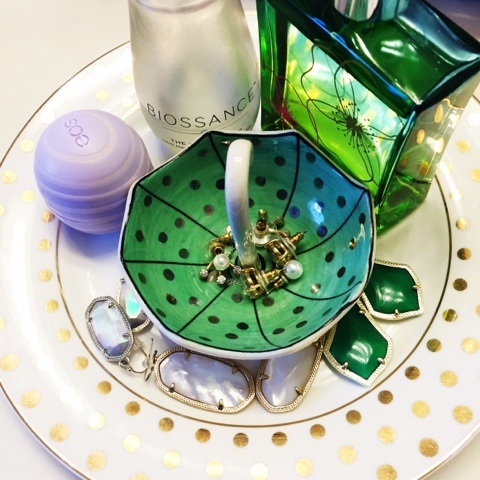 I have two of these plates from Marshalls and they come in handy for as jewelry dishes. 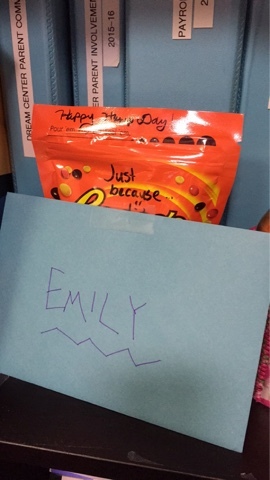 I found this sweet surprise + card waiting for me when I got to work on Wednesday. I am so thankful for a great friend and boss! 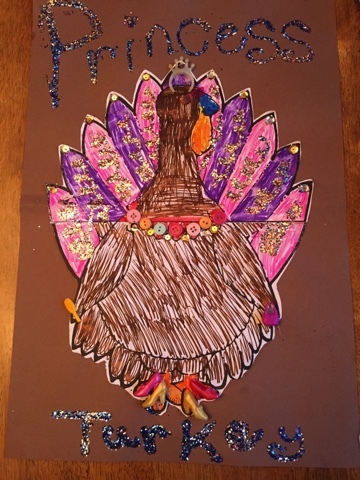 Each month we complete a family project for Julianna's kindergarten class. This month was a turkey so of course we had to turn her into a princess turkey! Like mother like daughter. 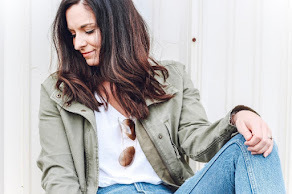 I caught Julianna snapping a picture of her outfit with her pretend cell phone. We made our weekly stop at Target and the One Spot had so many pretty things! 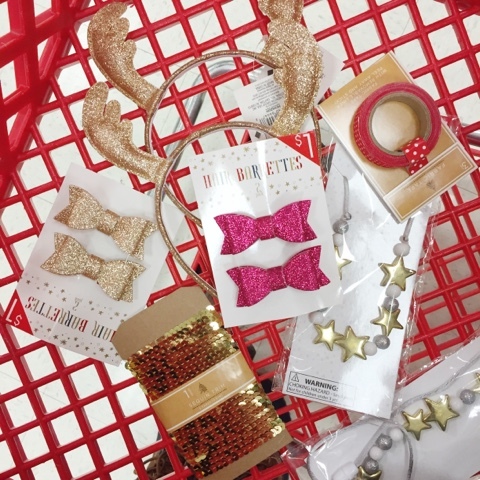 How adorable are the antler headbands and glitter bows?! 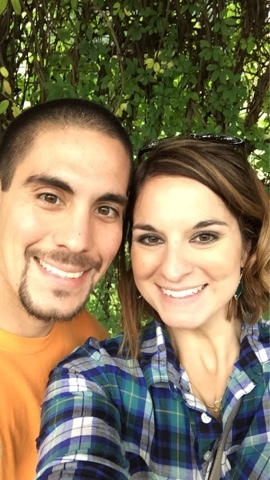 We didn't have any plans on Saturday so we ended up going to the arboretum to find some fun and that we did. 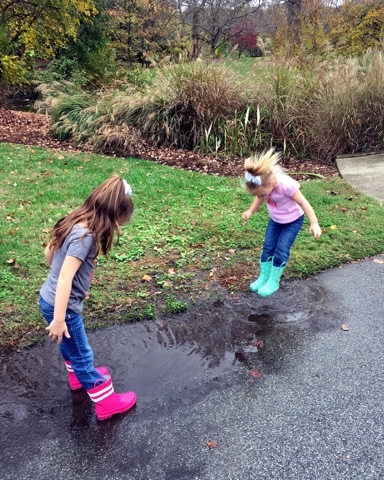 The girls had a blast racing each other, puddling jumping, and throwing leaves in the air! 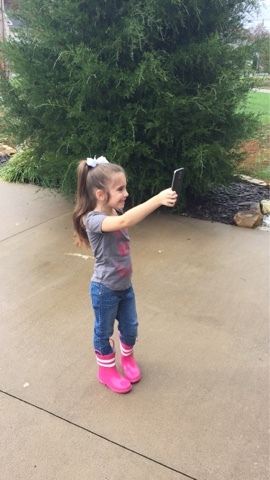 Oh my gosh that picture of your daughter taking her selfie is too funny! Like mother, like daughter!